An alleged anti-Muslim hate crime in Toronto that was condemned at the highest levels of the Canadian government never happened, city police said Monday. An 11-year-old Toronto girl claimed that as she walked to school on Friday morning, a man approached her with scissors trying to cut off her hijab. Khawlah Noman said that she screamed at the man to make him leave her alone, but he later returned and tried to cut it off again. "I felt really scared and confused," Noman told reporters in an afternoon press conference. 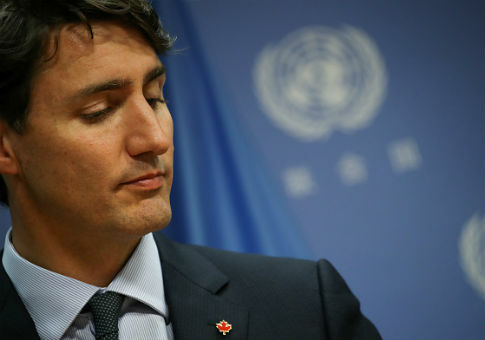 Toronto authorities immediately began investigating the alleged crime, which was denounced by no less than Canadian Prime Minister Justin Trudeau. "My heart goes out to the young girl who was attacked, seemingly for her religion. I can't imagine how afraid she must have been," Trudeau said during a Friday address following a cabinet retreat. "I want her and her family and her friends and community to know that that is not what Canada is." But after investigating Noman's claims, police announced conclusively days later that the attack never occurred. "We had a team of investigators who put together a significant amount of evidence and they came to the conclusion that the events that were alleged did not happen," Toronto Police Service spokesperson Mark Pugash told CTV News. Pugash cited "media and social media attention" as the impetus for the quick conclusion, saying, "We thought it was important that [we] get our officers' determination out as soon as we could so that people could have an accurate understanding of something that caused significant concern." This entry was posted in Issues and tagged Canada, Justin Trudeau. Bookmark the permalink.